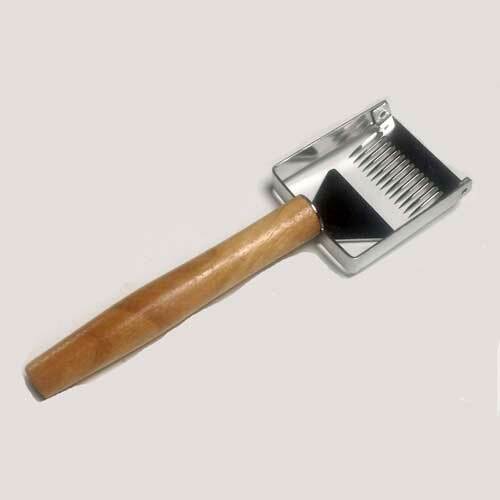 Comb Uncapper, 22cm long, 7cm wide. Solid wood handle with blade shaped tines make this a strong tool. Well designed, this is pulled across the comb making uncapping quick and easy.